All the vehicles of our club are privately owned, and purchased out of the pockets of the members. The vehicles are representative of the vehicles used by the 6th Airborne Armoured Reconnaissance Regiment of WW2. Immense effort goes into the restoration and maintenance of these vehicles, now all of them being over 70 years old. 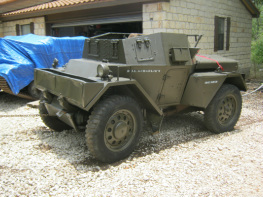 Not enough records that were kept by the warring nations have survived to determine the exact history of each vehicle in the club, although the vehicle history of our Daimler Dingo, which entered service with the British Army on 1 September 1944, can be traced back to post-war service with the Westminster Dragoons, who operated "Crab" Sherman Flail tanks clearing the beaches of mines on D-Day. Our Locust probably never left the United States during the war, most likely being used as a training tank, and was sold as surplus after WW2 with its turret removed to be used as a farm tractor. Literally beating the sword into a plow share. Our five Universal Carriers were all either Canadian built or built by the Ford plant in Massachusetts during the war, and they may have gone overseas and come back. Our Chevy CMP C15A lorry was certainly shipped over to the war and then found its way back, as all of them were built for shipment to UK forces overseas, none being retained by the Canadian Army at home. 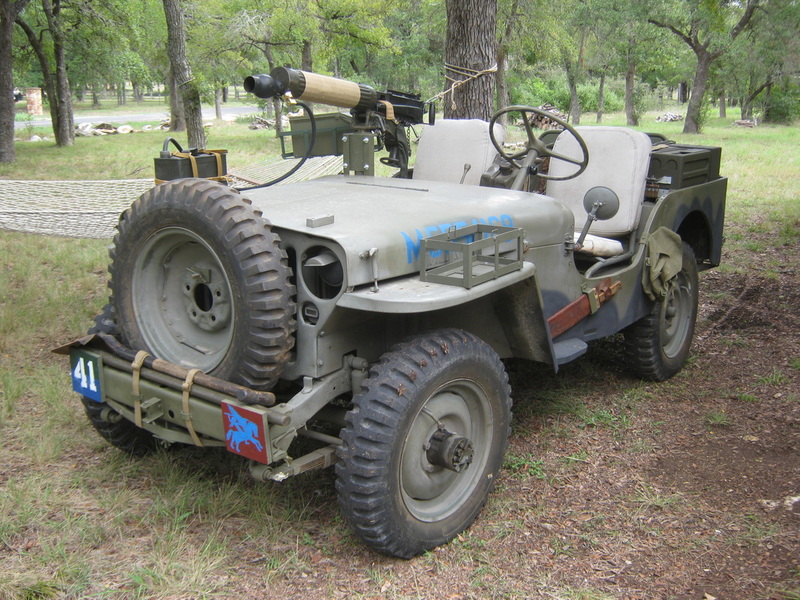 Our several jeeps are a combination of both WW2 Willys MB and Ford GPW jeeps and post-war CJ2 jeeps modified to resemble their earlier cousins. The extent of the restoration of these vehicles depends on the condition they have been found in, from the near complete and nearly serviceable condition of our dingo, to the complete "rust-bucket" condition of some of our carriers, left for years to the elements. Nearly 70 years after the war, parts are increasingly hard to come by, materials used to restore them increasingly sophisticated and expensive, and all of the labor involved being a labor of love of those who work on restoring them. The following photos are some random shots of the vehicles in our club, that will be added to as work on the vehicles progresses. Keep checking back on the individual vehicle pages to see how it goes! 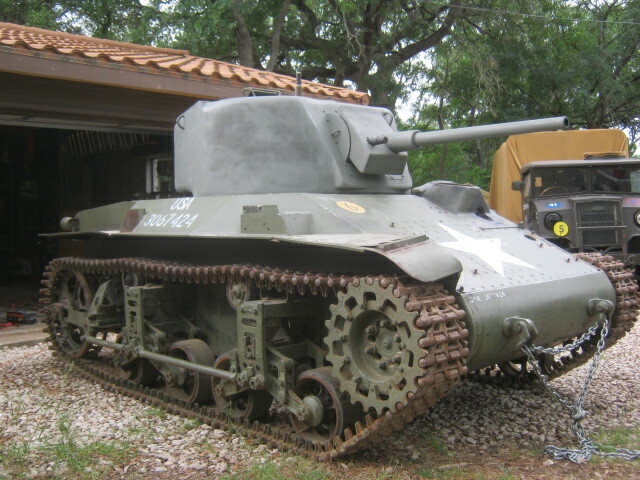 The U.S. built M22 Locust Light tank superceded the British built Tetrarch light tank in the 6th AARR after the unit's return to Britain from Normandy in the late summer of 1944. This particular Locust (below) was sold as surplus after WW2 to be used as farm equipment. It was pulling farm machinery around a field in Indiana for years, then changed hands three times, ending up in our unit and undergoing restoration. For more information on the M22 Locust, click on the M22 Locust button below. The Universal Carrier, commonly called Bren Gun Carrier, was one of the most versatile light armoured vehicles of WW2. 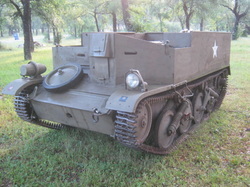 They served as reconnaissance vehicles, mortar carriers, medium machinegun carriers, slave battery carriers, and many other functions. The 6th AARR used them in all these functions, and two universal carriers could be carried together in one Hamilcar glider. For more information on the universal carrier, click on the Universal Carrier button below. The Daimler Dingo has been called one of the best armoured fighting vehicles produced by Britain during World War 2. With 30mm of frontal armor, it was the best protected light armoured vehicle in the 6th Airborne Division. With five forward and five reverse gears, the Dingo had a forward speed of 60mph and up to 55mph in reverse. The driver sat at an angle to assist him in seeing to the rear while in reverse movement. For more information on the Daimler Dingo, click on the Daimler Dingo button below. The 6th AARR used many jeeps within it's structure, for many purposes, including reconnaissance, as towing vehicles for heavy 4.2" mortars, for ambulances, for its electrical and mechanical engineers, and for various headquarters and support functions. For more information on the jeep, click the Jeep button below. The 6th AARR used both 15 cwt (cwt stands for hundred-weight, or 1500 pounds, denoting the cargo payload of the truck) and 30 cwt trucks in it's inventory. 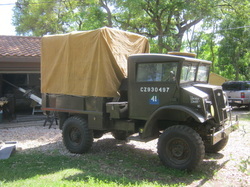 It is not known what make or model of the 15 cwt or 30 cwt trucks it used, as there were many manufacturers and models of these payload categories of trucks, and records have not survived what types were issued to 6th AARR. Chevrolet and Ford of Canada cooperated to produce the line of CMP, or "Canadian Military Pattern" trucks, and produced 209,000 of them, all of which were shipped to the UK during the war, so the Chevy CMP is a good representative of the class of truck used by the 6th AARR.